If you’re looking for an alternative to the usual roast turkey meal for Christmas then look no further. There are a lot of positives to making a meal like this for Christmas but the one that appeals to me the most is there’s no carving involved. If you’re anything like me and a somewhat clumsy carver than you’ll know that cooking a large bird is all very well and good but it’s the carving that really makes me nervous. No such worries here! A perfectly portioned, golden roasted and stuffed bird to adorn each plate, not to mention a do-ahead truffle sauce, makes this a very stress free meal. 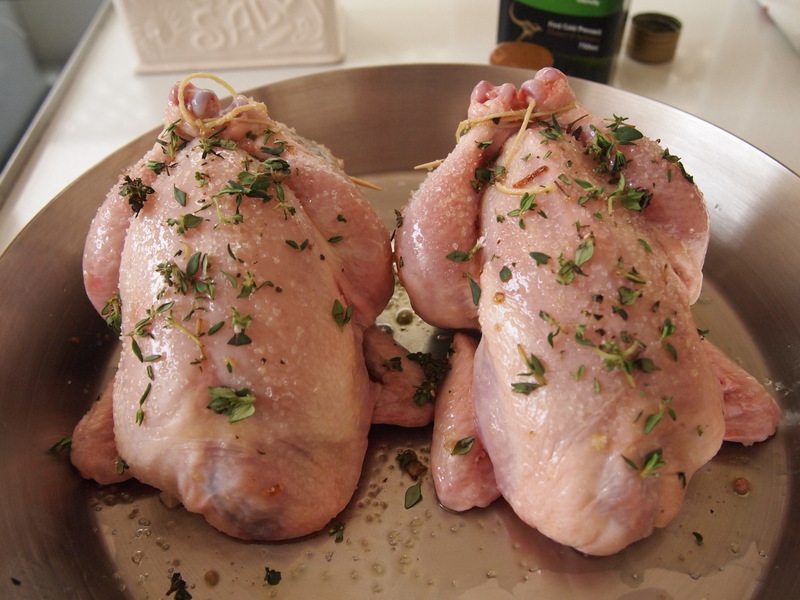 The spatcocks (or Cornish hens) can be stuffed and prepared the day before and the sauce, which takes no time at all, can be made a few hours in advance. So all you need to do on the day is bring the spatcocks to room temperature and roast them for a mere 50 minutes. A side of some roasted baby potatoes and green beans and you’ll end up with a very delicious and crowd pleasing meal. 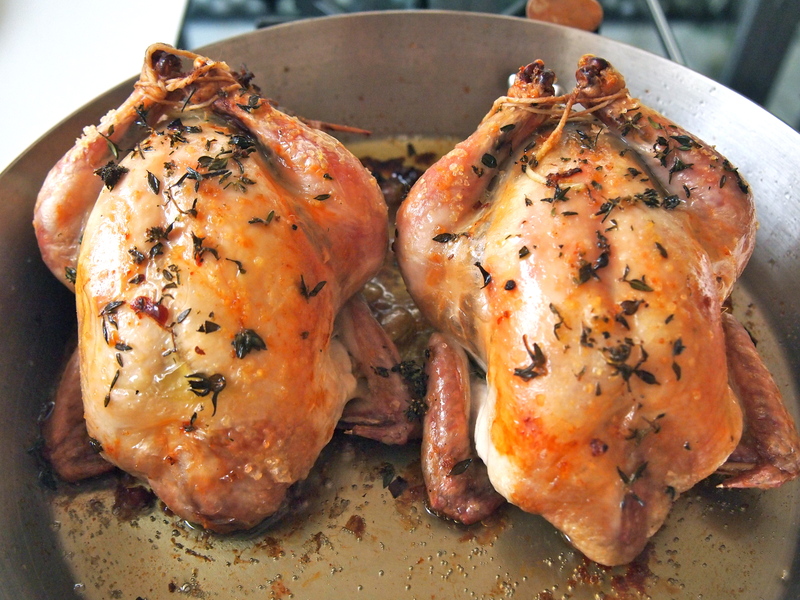 The recipe below is for two but can easily be multiplied – you can fit quite a few of these little birds on a roasting tray and they’re a lot easier to cook expertly than a very large turkey! To make the stuffing, heat 1 tablespoon of olive oil in a large frypan over medium-high heat. Add the mushrooms and a pinch of salt, then cook, stirring until pale golden. Remove from the pan and allow to cool. Heat another tablespoon of oil in the pan over medium heat. Add the onion and garlic and cook, stirring, for 3 minutes or until soft. Increase heat to medium-high and add sausage meat, sage and parsley. Cook, breaking up the sausage meat with a wooden spoon for about 5 minutes or until the meat is lightly browned. Cool for 5 minutes, then add to the mushrooms with the nuts and breadcrumbs. Combine well and season. Preheat oven to 200C. Place the spatchcocks in a roasting pan, then spoon in the stuffing and tie the legs with kitchen twine. Drizzle with oil and rub into the skin. roast for 50-60 minutes or until golden and cooked through – the juices will run clear when the thigh is pierced with a skewer. 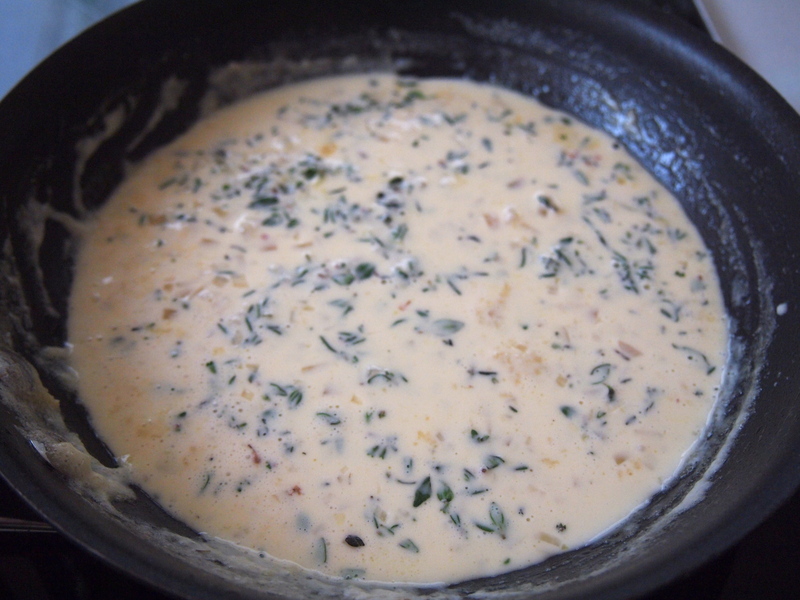 To make the truffle cream sauce heat a tablespoon of oil in a clean frypan. Add the shallot and stir over low heat and cook until very soft. Increase the heat and add the stock, cook until reduced by a third, then stir in cream and thyme. Cook for a further 5-10 minutes or until thickened. Season and add the truffle oil. 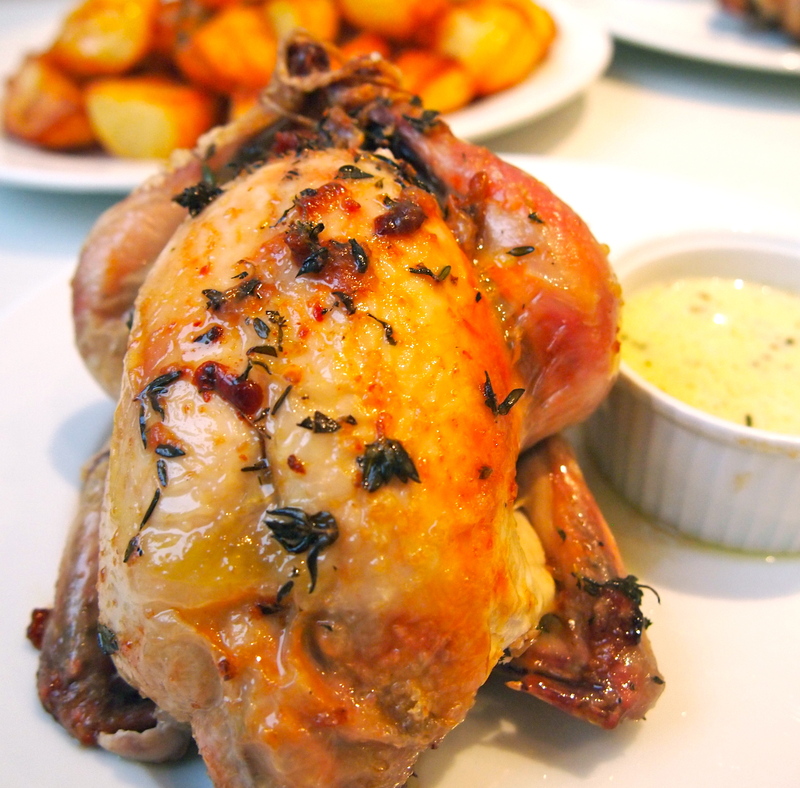 Serve a spatchcock on each plate with the truffle cream sauce on the side.